A high Court sitting in Accra has adjourned to Wednesday, February 23,hearing of the contempt case brought against members of the GFA Executive Council and Congress by GFA Chairman, Dr Nyaho Nyaho-Tamakloe. Justice Kobina Acquaye granted the preliminary objection of counsel for the defendants that the motion had not been served on the individual personalities involved in the suit,and subsequently decided that each is served in accordance with Order 50 of the new High Court Rules which state that individual persons cited in a contempt case have to be served personally. Under the compulsion of the legal action, the GFA Chairman and a section of the group that recently passed a 'no confidence'vote in him came under the same roof for the first time in months in an atmosphere different from the hostile relations either faction had entertained. In a calm disposition, Dr Nyaho-Tamakloe gave no traces of the uneasiness that has characterised his relations with some members of the Executive Council. At the other side, GHALCA Administrative Manager, Mr Kudjoe Fianoo,and GHALCA executive member,Mr Kwame Ntow-Fiako, subdued the strong emotions that prevailed when they passed the 'no confidence'vote in the GFA Chairman. With their thoughts and actions entrusted into the hands of their respective legal counsels, the two parties looked on with occasional smiles and giggles as Mr Francis Kojo-Smith fought Dr Nyaho-Tamakloe's case against Mr Thadeaus Sory,counsel for the Executive Council and Congress, in a total of 32 minutes. Mr Sory argued that the individuals involved in the suit were not served and, therefore, were unable to attend the court sitting, although a copy of the summons was handed to one Edward Bawa,an administrative officer at the FA secretariat.Mr Bawa claimed in an affidavit that he was not a party to the suit and, therefore, was inappropriately served. 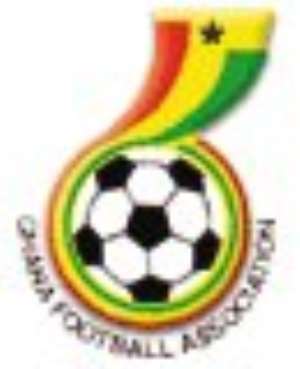 In his original motion, Dr Nyaho-Tamakloe named the GFA longest and Executive Council members as first respondents and Messrs Y.A Ibrahim,Executive Council Chairman; Justice Y.Ampiah,Chairman of Congress; Alhaji Karim Gruzah of King Faisal Football Club;Kojo Yankah of the Western Regional Football Association; Kofi Manu of Arsenals, and J. Y.Appiah, Chairman of GHALCA,as second to seventh respondents respectively,but none appeared in court since none of them was served.justice Acquaye upheld the objection and advised that each is served to cause them to appear on February 23.